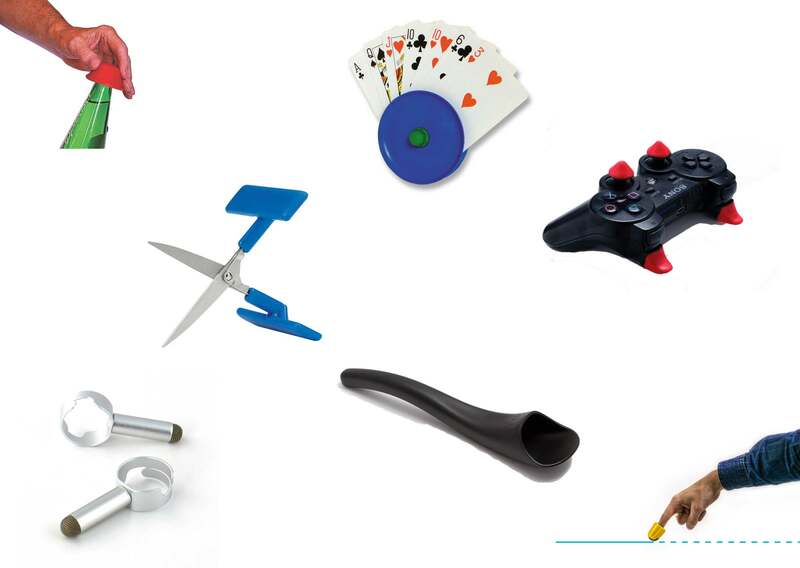 There are numerous applications for Active Hands gripping aids in sports and leisure activities, ranging from riding bikes to skiing; from adaptive climbing to kayaking; from sailing to rowing; from snooker to ATV driving. Don’t let a weak grip hold you back! Our customers are often telling us about new uses for our gripping aids. This image shows Fabrice using his General Purpose gripping aid to hold the tiller to steer the boat. 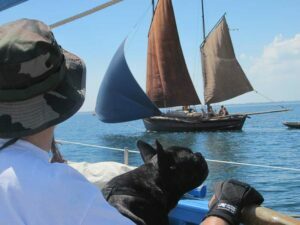 This enables him to get out on the water and take part in events such as the tall ships sailing trip: Retour de la Tall Ships Race 2014. 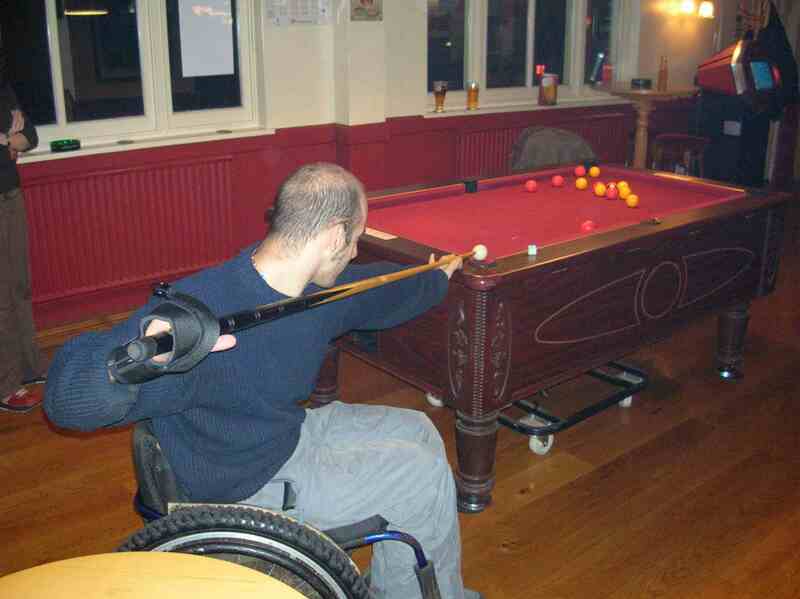 Active Hands’ General Purpose gripping aids can be used out on the water in a variety of ways. 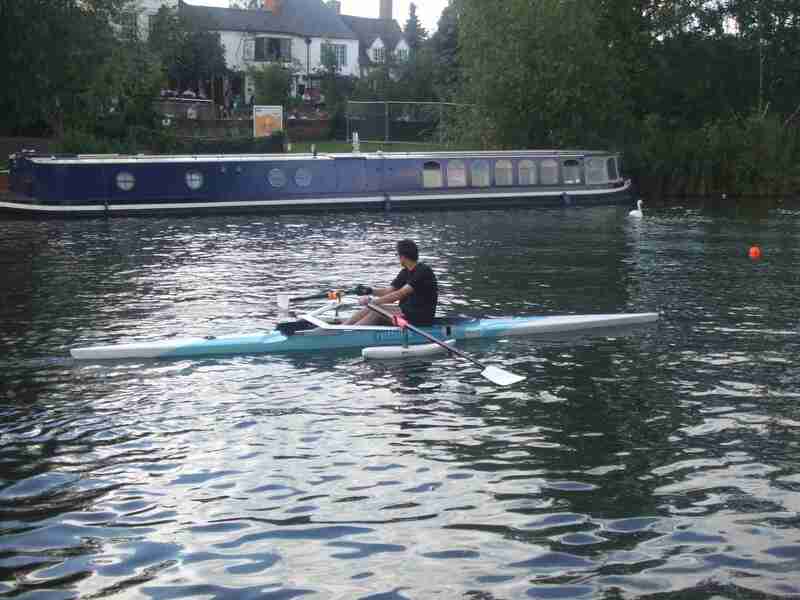 Many of our customers use the aids for rowing, both for pleasure and for competing. They can be used with both single oars and for kayaking/canoeing. 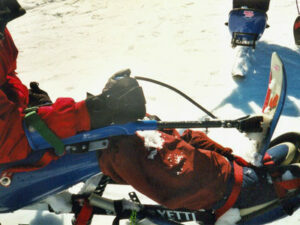 We recently heard of a customer who has used our gripping aids for water-skiing. Rebecca learnt to water-ski as a child but, after surgery and treatment for a brain tumour left her partially paralysed, she was unable to continue. After discovering our General Purpose gripping aid, a solution was found to help her to get back onto the water skis using a special set up involving our gripping aids and a harness. Read her story here. Disclaimer: Please note that the gripping aids do not have a quick release system so use on the water must be closely supervised and is undertaken at your own risk. Active Hands gripping aids are essential for those with weak handgrip who like to get out and enjoy the fresh air on wheels. 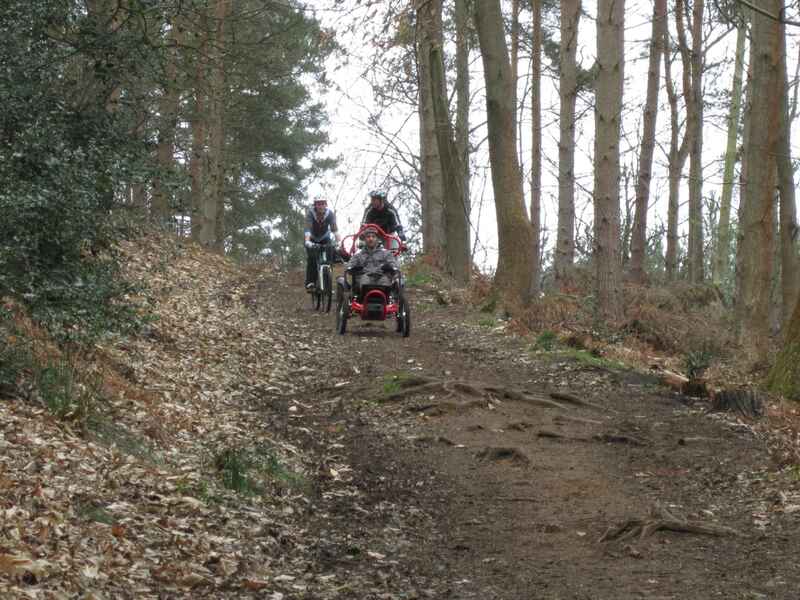 Whether you have a hand-bike or an off-road bike there is a suitable aid for you. 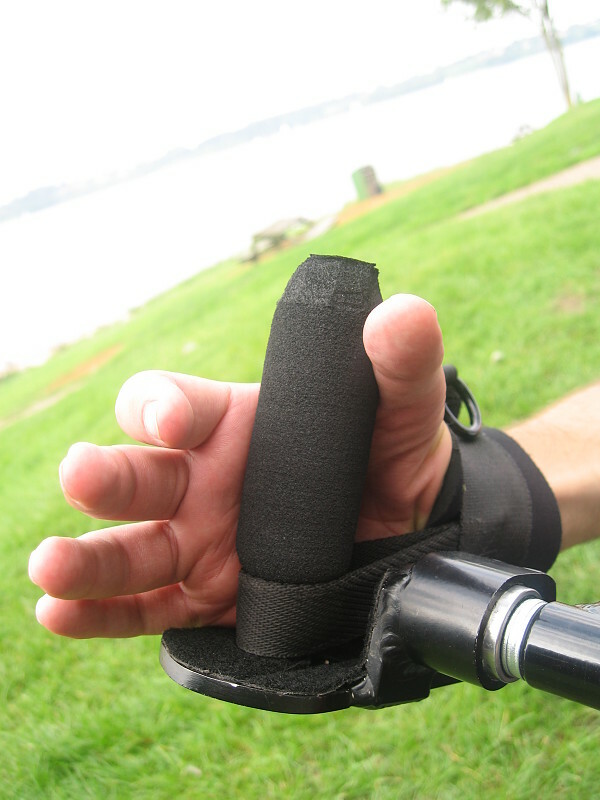 Hand bikes can be ridden with either the General Purpose gripping aid, Hook aids or the Looped aids. 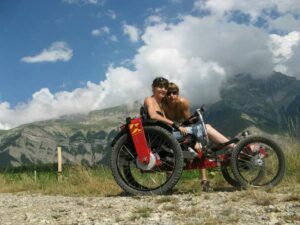 If you like to get off-road and onto more adventurous tracks then General Purpose gripping aids can be worn on off-road vehicles such as the Boma or Mountain-Trike (see stuff we like). 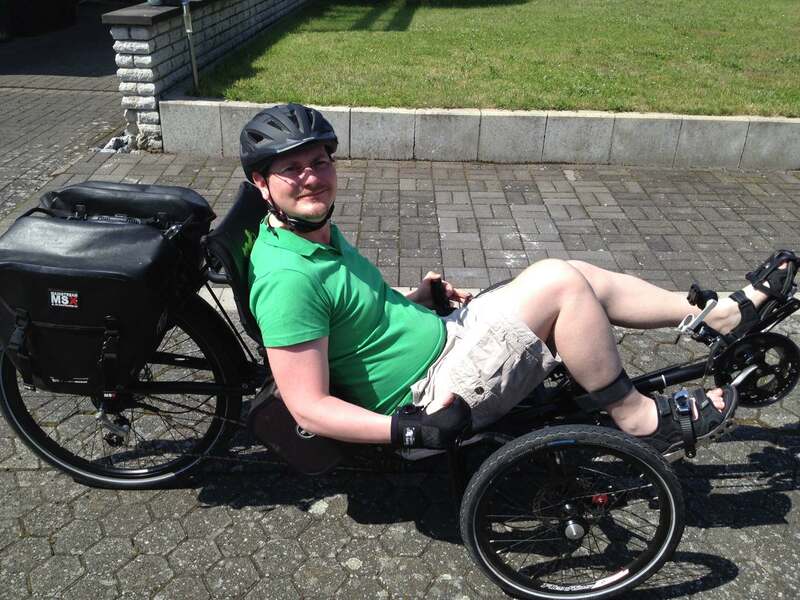 They can also be used on trikes and recumbent bikes. 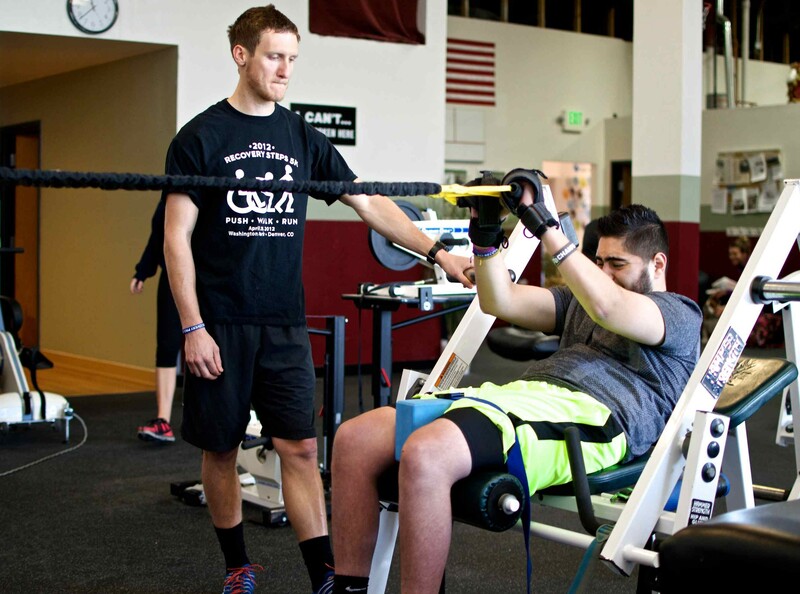 Our gripping aids also help those who have dystonia, or do not have the strength to maintain a grip, to keep a hold on the handle bars. See Parker’s video on our children’s page. I get continuous movement on the hand cycle now, no longer have to stop every few minutes to replace my hand. What I especially like is having my hand actuality “grasp”. In therapy I’d gotten a cloth aid. It was similar in theory, but weak. One’s fingers go into a loose ”pouch” that gets strapped around the bar. Not only did my fingers keep slipping out, they never got to touch or grip what I was supposed to be “holding on too.” It was useless. Active Hands is like having a secure hand over one’s own hand as one grips directly. Rob had an exiting day out riding a Boma mountain bike. This video show this scary moment as Rob takes on an extremely steep hill! 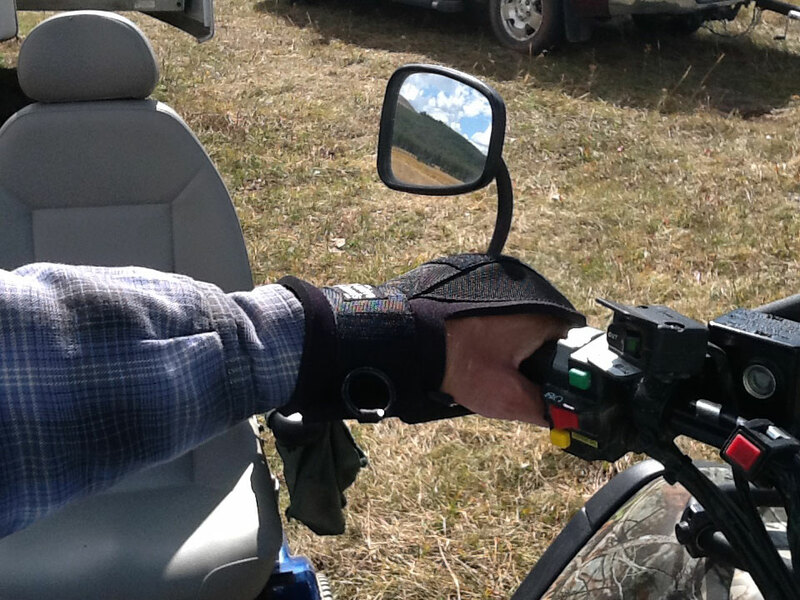 The General Purpose gripping aids allow Rob to keep a firm hold on the controls. 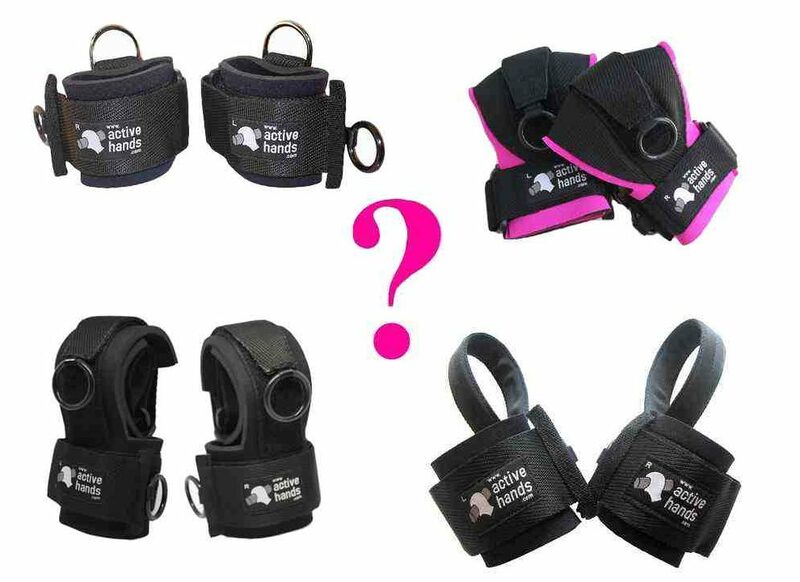 Our Winter Sports gripping aid fits over winter gloves allowing those with hand weaknesses to partake in winter sports such as ski karting, sit-skiing, indoor and outdoor skiing and sled-hockey. The gripping aids give you a firm grip on out-riggers, kart steering mechanism or sled propulsion sticks. The Winter Sports gripping aids are intended only for use with thick gloves, therefore the neoprene layer is omitted. 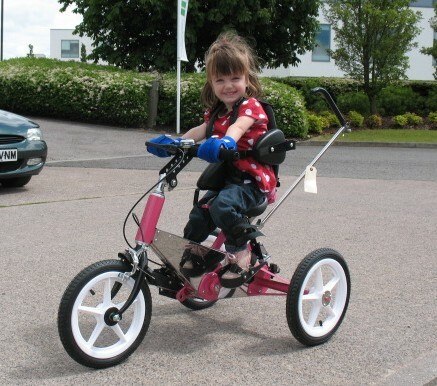 For those who like their fun at speed our General Purpose aids have been used by our customers to get out and about in their motorised vehicles! 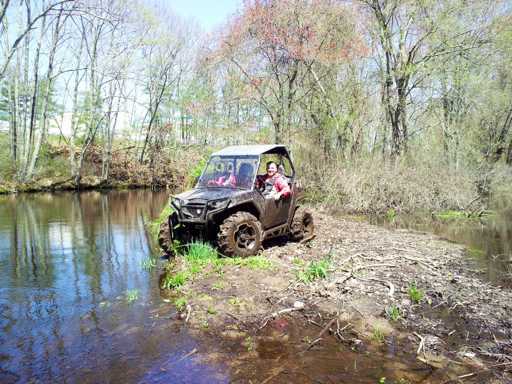 Another customer, Troy, uses his GP aid to drive his UTV (Utility Terain Vehicle) through the swamps. You can read his story here. Disclaimer: Active Hands cannot officially endorse use with motorised vehicles – doing so is at your own risk. Fiona is a determined little girl who loves to join in with her friends at gymnastics. She was born missing fingers on her right hand but has not allowed this to limit her ambitions. Her Mum spotted our Limb Difference aid on the Lucky Fin forum and purchased one for Fiona. She is now able to perform a routine on the gymnastics bar. If all of the above sounds a bit too much like hard work then there are many more relaxing activities that can be undertaken using a General Purpose gripping aid. We have had customers use them for pool and snooker, and holding a bottle of beer! There are many other uses for our gripping aids. 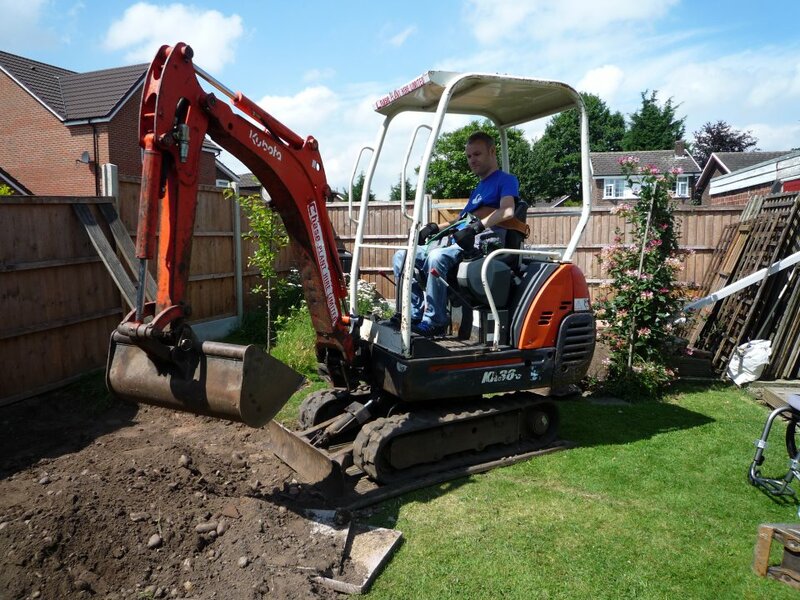 We have even had one customer use his gripping aid to drive a digger! A more unusual use for a General Purpose aid! 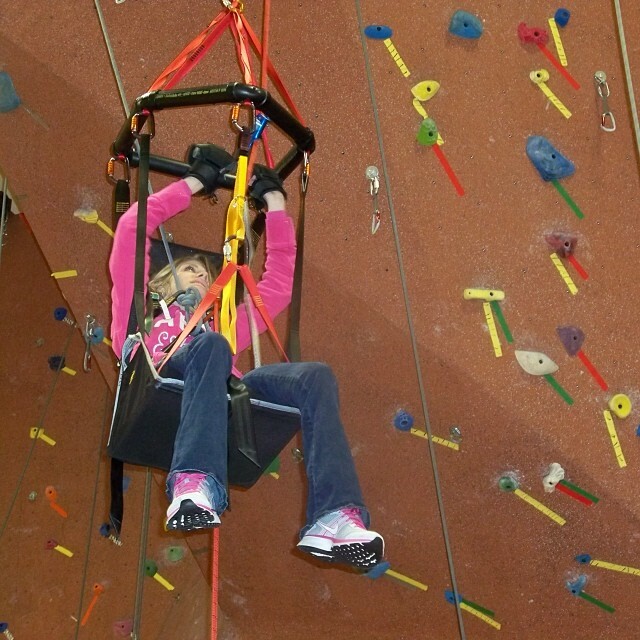 Paradox sports use our gripping aids for climbing. Why not grip an oar? 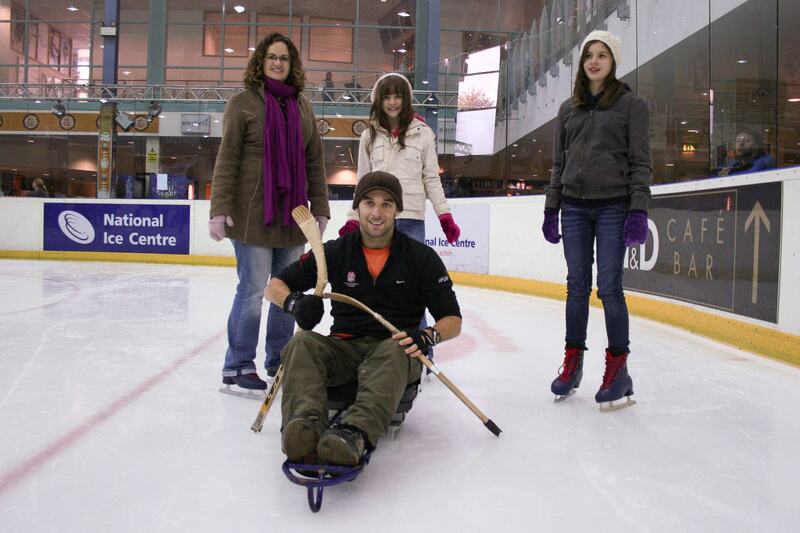 Rob uses his gripping aid to hold an ice-hockey stick. Marc uses his to steer his bike. 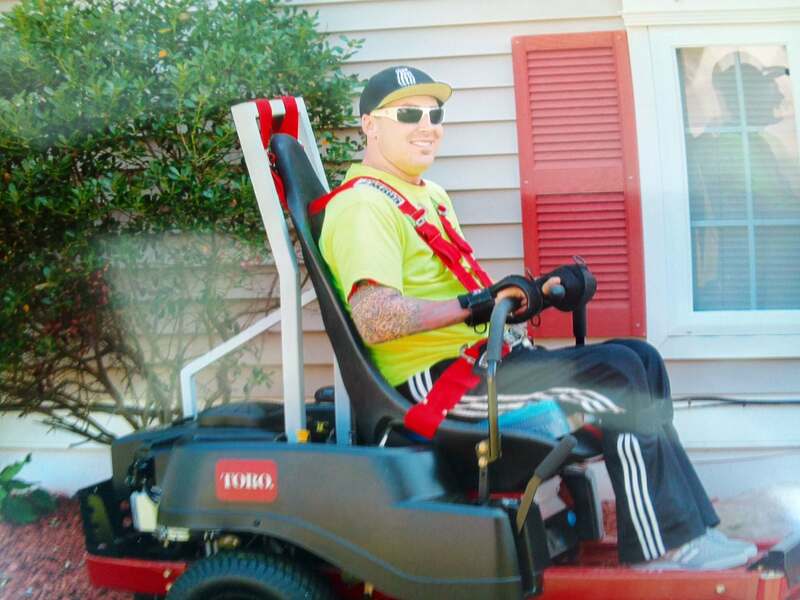 Troy uses his gripping aid to drive his sit-on lawn-mower. Scary fun on a Boma bike down a BIG hill. The looped aid is good for hand-cycling.